American beige luxury large house front exterior. Classic American house and street with fence in the spring. Classic American house with fence and green grass during spring. Beige house from backyard with garage and fence near road. Classic new American house exterior in the spring. American Country farm luxury house with porch. Large house with balconies on the hill with rocks. Small white house and shed with flowers. Two story beige nice house on the rocky hill with flowers. 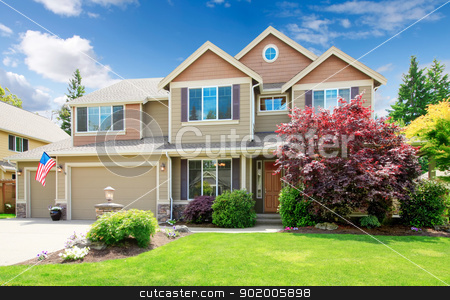 Photo of American beige luxury large house front exterior. American beige luxury large house front exterior with landscape.